Some of the certificates I have earned during my career in Amateur Radio. 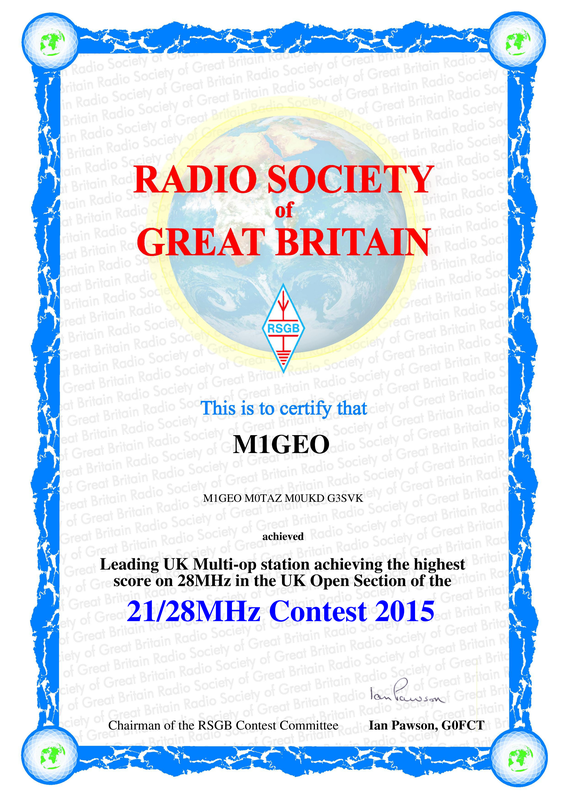 Below, the certificate for the Powditch Trophy : Leading UK Multi-op station achieving the highest score on 28MHz. With the help of the team, M0TAZ, M0UKD and G3SVK (G8OCV in support). A write-up of the operations can be found here on the SNBCG site. 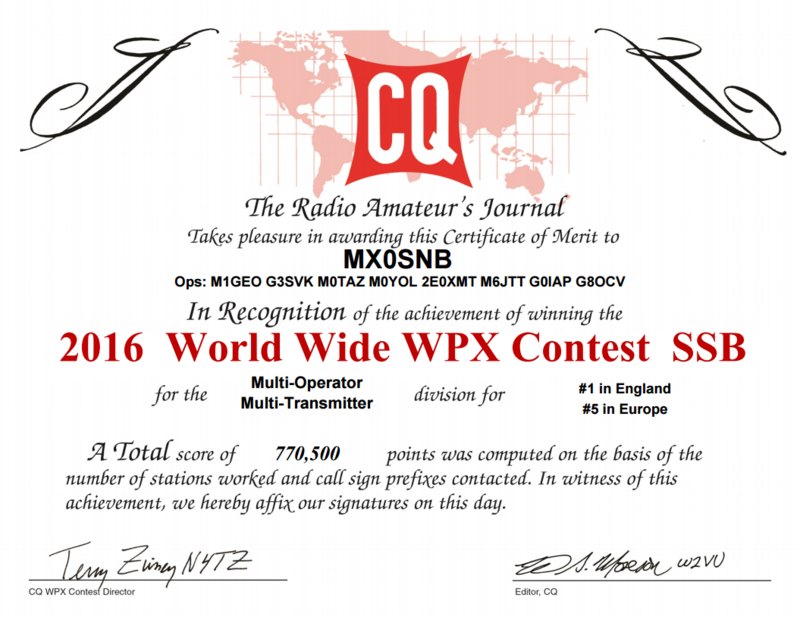 Certificate for CQWW World Prefix Contest SSB 2016, #1 in England, #5 in Europe, for Secret Nuclear Bunker Contest Group, MX0SNB. 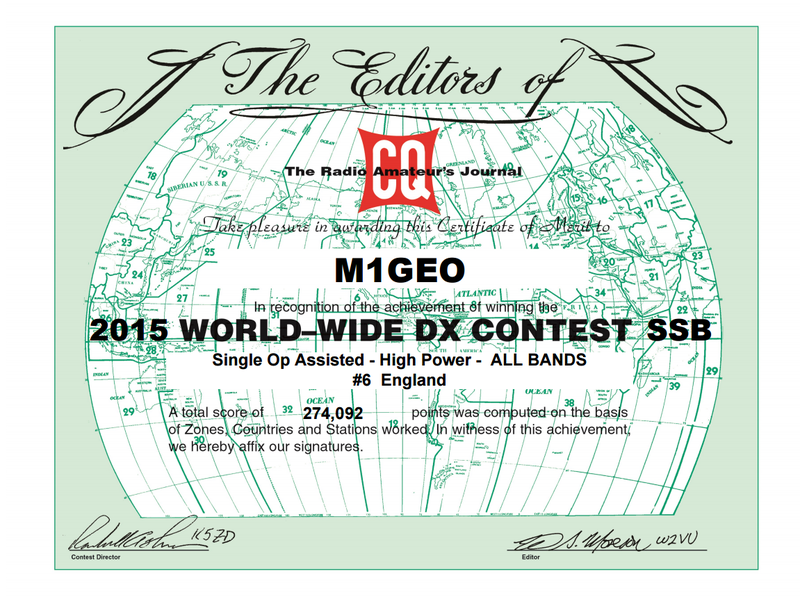 Certificate for CQWW Contest SSB 2015, #6 in England, for M1GEO in the single operator all-bands assisted category. 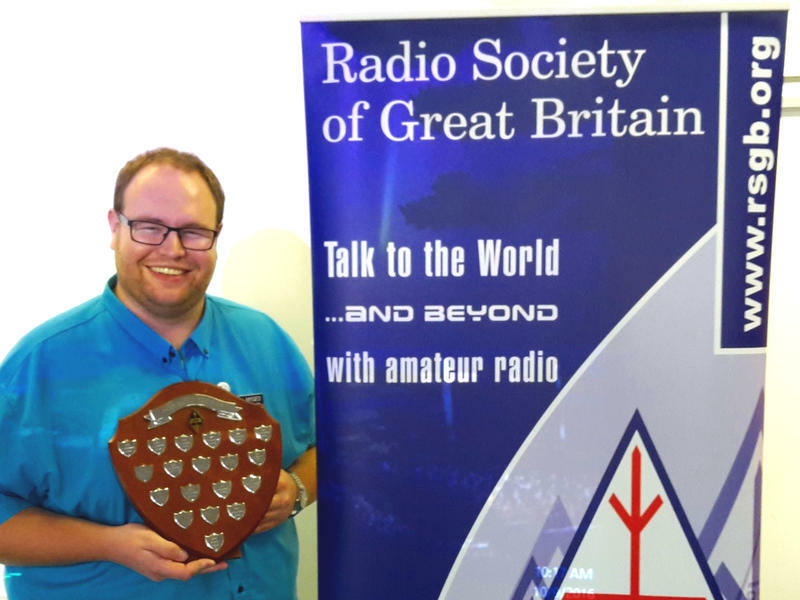 During my time in Cambridge working for ARM Ltd, I took part in the UKAC contests with the Camb-Hams. I was only there for 4 months, but, given that my name was on the certificate, I feel entitled to claim some small success! 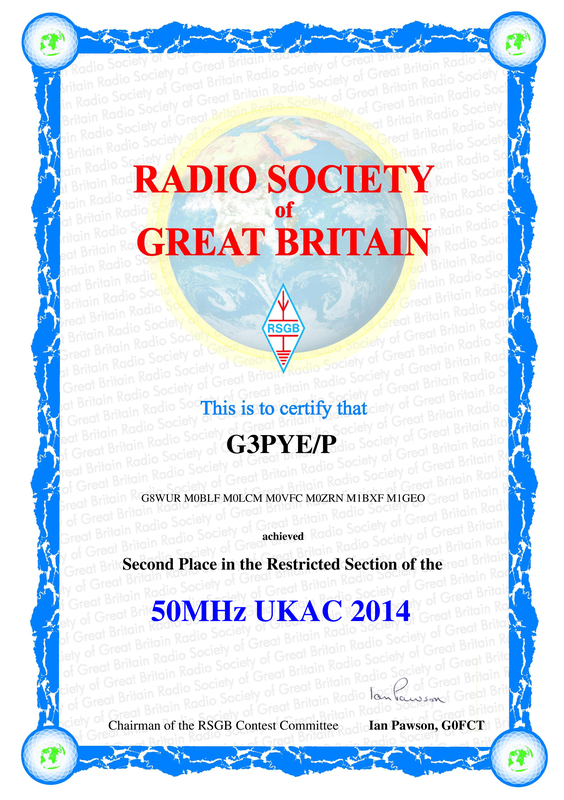 Similar to the 50 MHz certificate above, while in Cambridge I did some UKAC operating with the Camb-Hams.